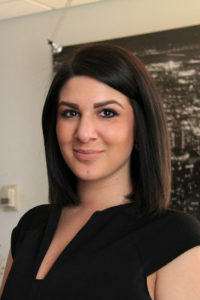 Kelsey Joined Liu and Associates in 2017. She attended NAIT, receiving her diploma in Accounting. She enjoys volunteering for organizations around the city. She has been a volunteer for over 8 years at various organizations, including the Stollery Children’s hospital, local sporting teams, and inner city organizations. In her spare time, she loves to cook and bake, always trying new recipes. She enjoys the outdoors, and likes to get out of the city when she can and spending time with friends and family. Kelsey’s wonderful personality and brightness has made her a key member of the administrative team and personal assistant to Ms. Patricia Cheung-Liu CPA CA. Kelsey has been part of our team Feb 10, 2017 and she is well loved by all staff and clients she works with everyday.